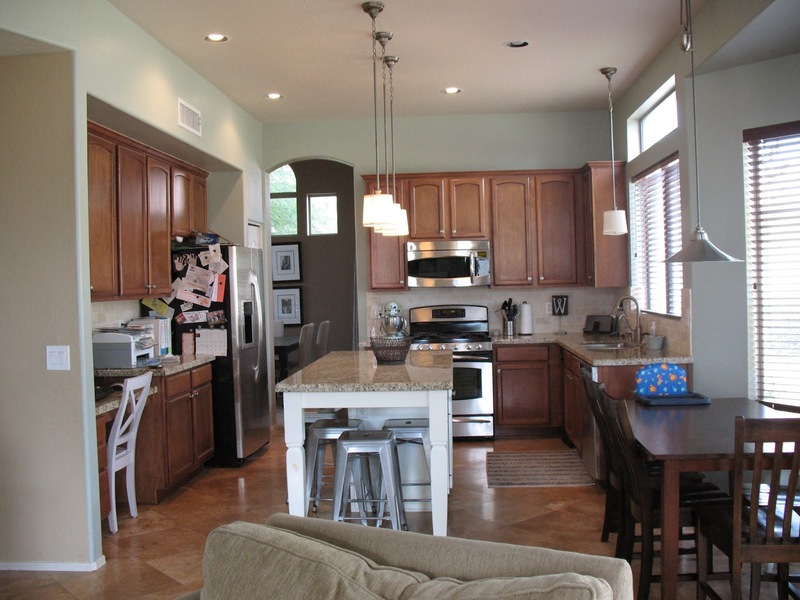 Decor Sanity: The Counter Top Question: Granite, Quartz, or (Say What?!) Porcelain? 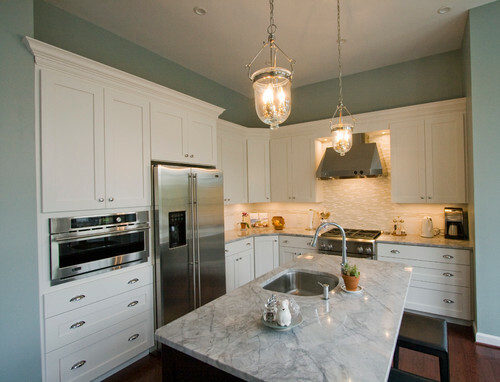 14 The Counter Top Question: Granite, Quartz, or (Say What?!) Porcelain? Well, it's day 13 of the big remodel, and my house is covered in a layer of concrete dust. Yes, there has be a whole-lotta jackhammerin' going on at my house. This is what happens when you want to make one toilet into two. Well first your plumber grunts and groans and tries to talk you out of it but eventually succumbs to your reasoning, and then this happens. And the house before that was quartz, and the house before that was laminate. And this house right now is (yuck!) tile. So I've lived with them all. From the get-go, I've been thinking that I would use two different types of counter materials: Quartz on the outer counters, and Granite on the island. Gorgeous, right? But super elusive. I've been all over town looking for this, and it's like the Loch Ness Monster or Bigfoot. People are claiming to have seen it but no one has proof. I think there may be a counter top conspiracy out there to frustrate me: "Look, she's coming! Hide all of the White Fantasy!". It's hard to tell, but it has a lot of brown and cream tones. And of course, it's all the most expensive class of granite, "Exotic". And best part is, it is supposed to be cheaper than Quartz, and some Granite. I am going to get it priced out, and I'll let you know. The mesh backing said that is manufactured in Spain (eeeek!). I love Spain! Maybe this was meant to be! 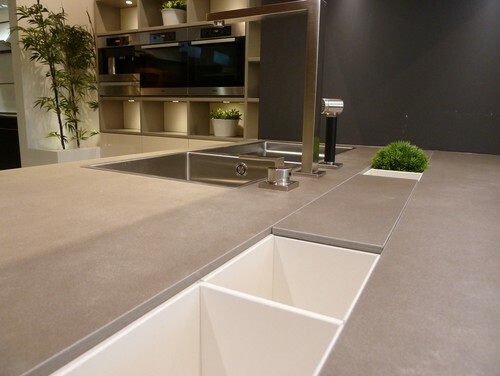 The product is called Neolith, and apparently it's super popular in Europe. It is just making its way to the United States, and is starting to get used. It comes in a whole range of colors, some solid some patterned. I am super excited about the possibilities! 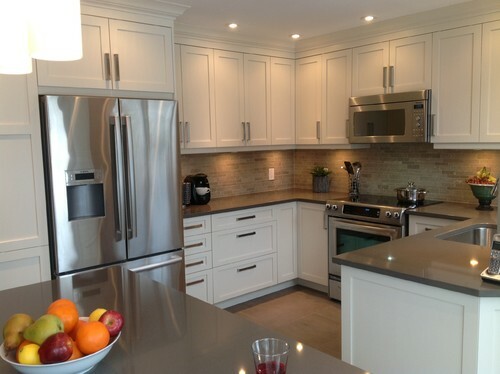 I am thinking of doing the whole kitchen in Porcelain, or maybe a Porcelain/Quartz combo. White Fantasy can stay just that, a fantasy--I want Porcelain! Or as the Spaniards say, "Quiero Porcelana!" For your kitchen you can find great worktops at http://www.marblegranitesworktop.co.uk/. I am literally fed up with the non-glamorous wooden worktop in my kitchen, so I am ready to opt for quartz countertops Arizona that are easy to maintain and elegant to look. 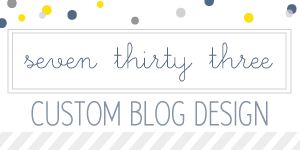 Hi, I'm Jen, and I'm relatively new to the DIY blogging world, but not to DIY! I love dreaming up, creating, and building projects--it's what keeps me sane in my crazy 4-kid filled days. That and keeping a sense of humor, I love finding the hilarious in every day life. New Year, New Remodeling Project!